Washing liquid for washing white laundry in all types of washing machines. Also suitable for hand wash. Efficiently removes dirt when washing with lukewarm or hot water. Contains optical brighteners. 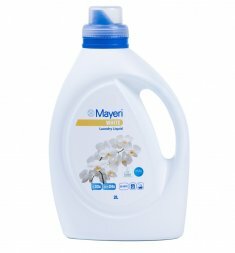 Contains water softeners that protect your washing machine from limescale build-up.